Restored country house for sale in Basilicata – Lauria. This countryside house of 210 smq approximately, plus two large balconies and terrace, has been renovated by local craftsmen, using traditional materials and techniques.The interior will be finished to your own specification. 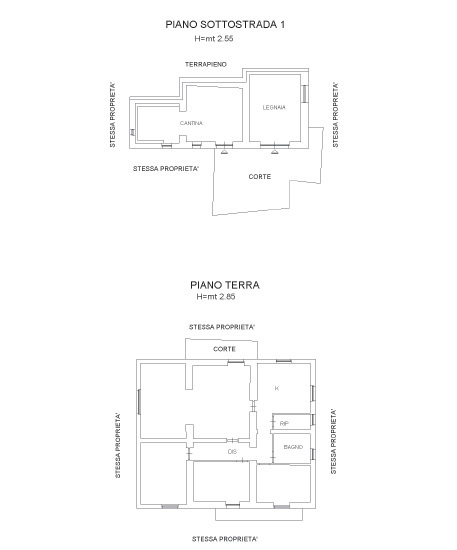 There is also a 2140 sqm. plot of land. Set in one of the most panoramic locations in the quiet hilly area of Lauria, the house has splendid views of the mountains. First floor: Hall/reception, dining connected to a decent sized kitchen and a storage room, one bathroom and three large bedrooms connected with a corridor. The property is set back from the road, approached by a private drive. The house has been constructed in sympathy with local building traditions including inserts in local stone, antique-style white plaster and wooden shutters and fixtures. Nestled into the hillside, the property is set within its own grounds of 0.21 ha and has stunning views over the surrounding valley. The house is connected to mains water and electricity, and there will be an LPG heating system. The area has good mobile phone reception for telephone and 4G internet. Renewable energy sources such as solar panels can be available on request. Ready to move in. This wonderful property is ideal as either a family holiday house or as retirement main home.